« Thoughts on Baby food.. When I think of conventional baby food, mushy, gummy, easy to swallow textures comes to mind. 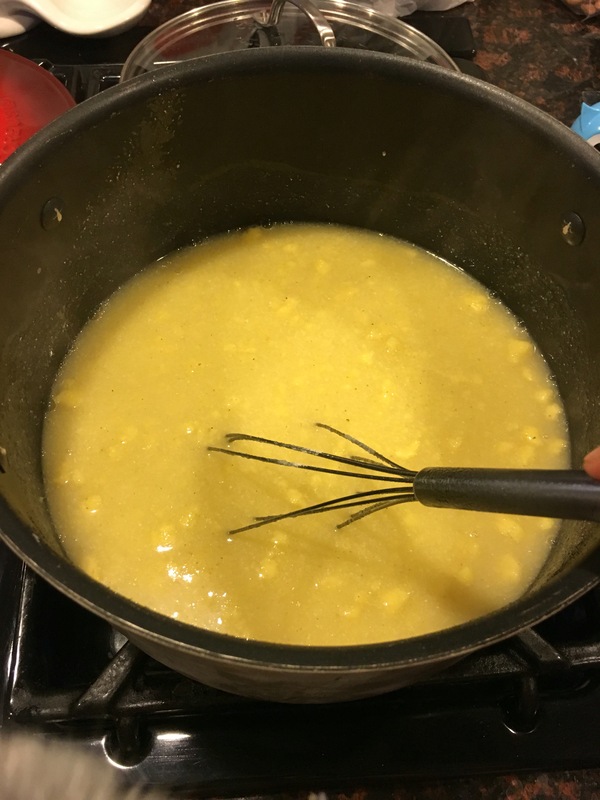 You can pretty much put anything in a blender nowadays and make baby food, but my challenge was to make adult food that don’t need to go through a blender to be baby friendly. One of my go to recipes on a Sunday is some type of pasta with sauce… I would start the sauce mid afternoon and let it simmer until it was time to eat. Bolognese sauce came to mind because you can use ground meat cooked down with tomatoes and finely diced vegetables, very baby friendly. Pasta, on the other hand, is not so baby friendly unless you cut the pasta. When I was searching for recipes on foodandwine.com, I came across a polenta recipe and Bingo! Baby friendly pasta. Another good thing about pasta dishes is that you can cook them ahead of time, and make a big batch and freeze it for later. Time saving recipes are a life saver when you don’t have time to cook during the week. 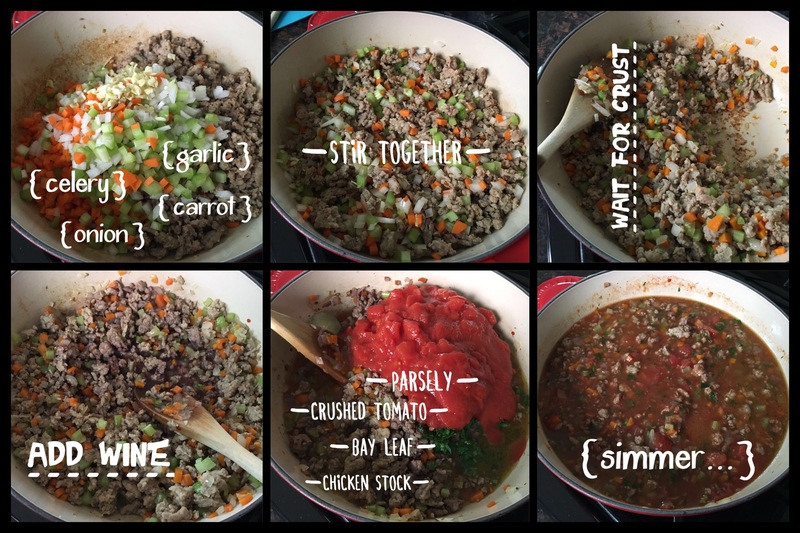 The cooking process is pretty straightforward for the Bolognese sauce: brown some meat, add vegetables and broth, and simmer. I used veal and pre made Italian sausage from the grocery store. 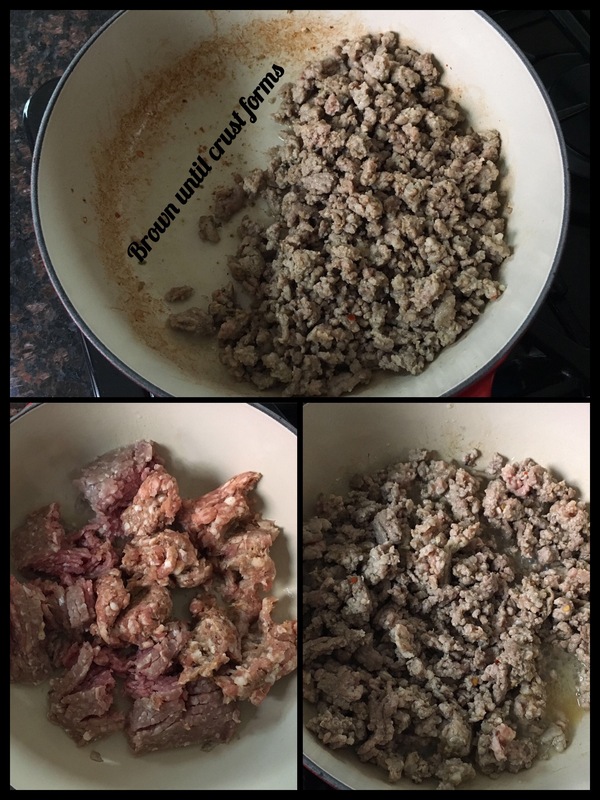 I think it’s important to brown your meat until a brown crust forms on the bottom of the pot… This means all liquid has been cooked off and the little bits of meat that’s stuck to the bottom of the pot will act as major flavoring agents when you add broth and scrape them off. By no means burn your meat, but cook it around medium heat until most if not all water dissipates. For the vegetables I added celery, onion, carrots, and garlic, finely diced. You can use a food processor for this. Scrape the bottom of the pan to release some of the crusty goodness from the meats. When cooking down the vegetables, you want to creat the same type of crust on the bottom of the pan like with the meat. After adding the liquids, be sure to scrape the pan well so all the brown stuff gets cooked into the sauce. I left my sauce simmering until thick, but it really depends on your personal preference..as long as you keep the sauce on simmer it’s almost impossible to over cook it. If it’s too thin cook it longer, if it’s too thick add more broth or water. This recipe worked for me because I started it while my son took his afternoon nap and once he woke up the sauce was already simmering so it was very low maintenance. 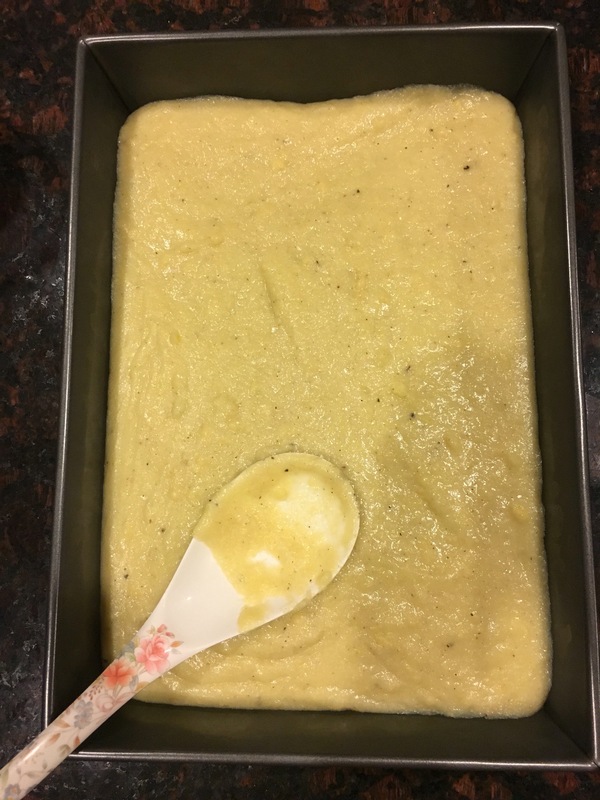 As for the polenta, I followed very basic instructions on cooking it while whisking ( I didn’t sift my polenta before cooking it which is why it looks lumpy in the photo). 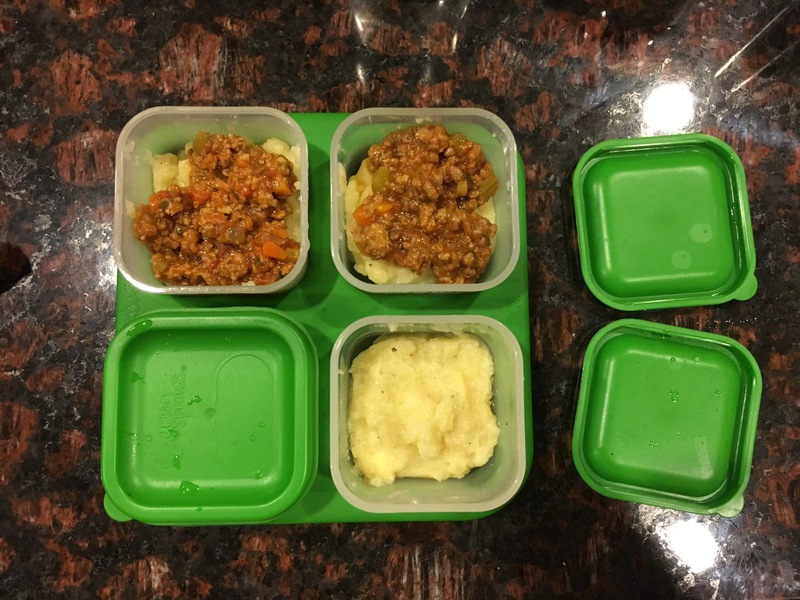 I made double the recipe, and used the left overs to make pre packed meals for my son. After the polenta gets to the right consistency ( approximately 25-30 mins on medium heat with constant whisking), I played for our dinner and poured the rest into a baking dish. As it cools the polenta will harden and make it easy to cut into equivalent portions. I divided up the polenta and the Bolognese sauce into little 2oz containers, labeled them, and put them in the freezer. 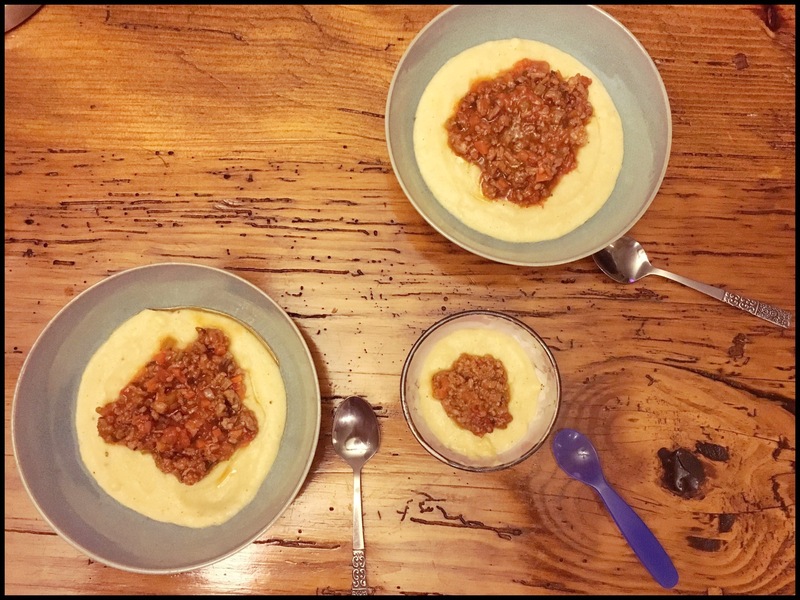 So how did my son like the polenta with Bolognese sauce? 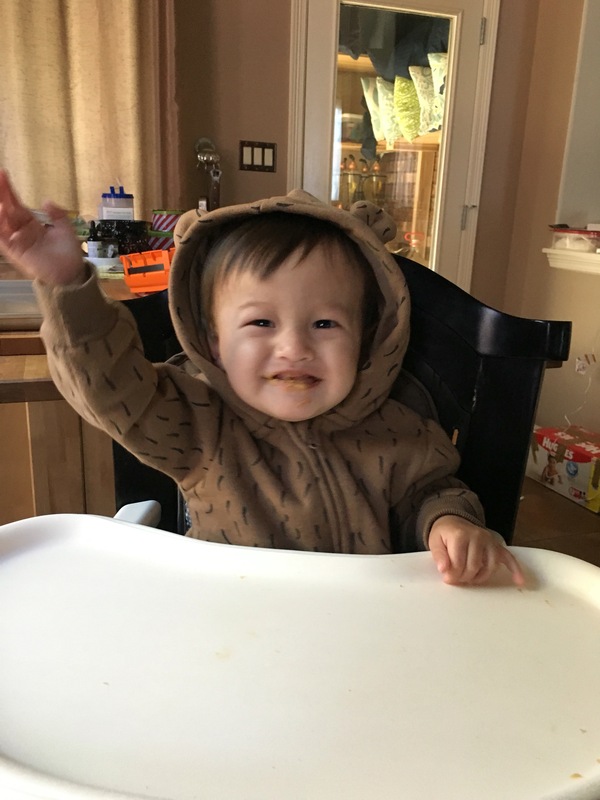 He was unsure about it for the first couple times he tried it, but as he gets use to solids he likes it a lot now. It does take multiple tries but I learned that you just have to keep trying and not get discouraged if babies don’t like it at first.